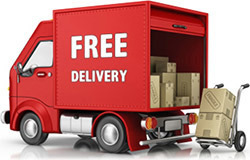 Set of 3 WineDiapers, the innovative way to transport your wine safely. Traveling with wine is a tricky prospect at best. Heightened security and new restrictions leave you having to check your wine purchases in your suitcase. How do you ensure that your wine will arrive safely when your suitcase is thrown on to luggage belts and jostled inside airplanes. You need to find a way to protect your wine bottles, and also make sure that your clothes won't be ruined if they do get broken. Protect your wine by treating it as delicately as you would a baby: diaper it. Diapering your wine bottles will help protect them from breakage and absorb up the liquid should something still cause damage to the bottle. The WineDiaper's design will cradle your wine in a padded container and contains absorbent material to quickly soak up any spills, helping to safeguard clothing and other valuables in your suitcase. A wine travel bag like the WineDiaper is an inexpensive and lightweight solution to give you the ultimate protection for your breakable purchases. And you don't have to limit its use to wine. 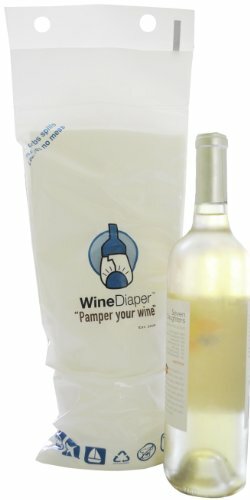 The WineDiaper is also a great way to transport liquor, perfume, vinegar, any liquid you purchase that may be contained in a breakable bottle. As an added bonus, the WineDiaper has a resealable closure, so if no spillage occurs, you can use it again and again.